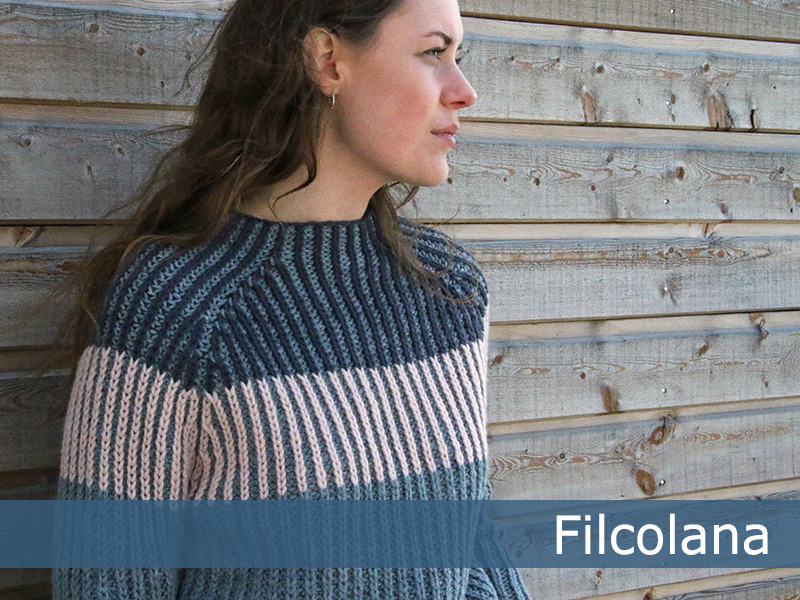 Brioche stitch is on trend and there is a myriad of patterns in the technique. 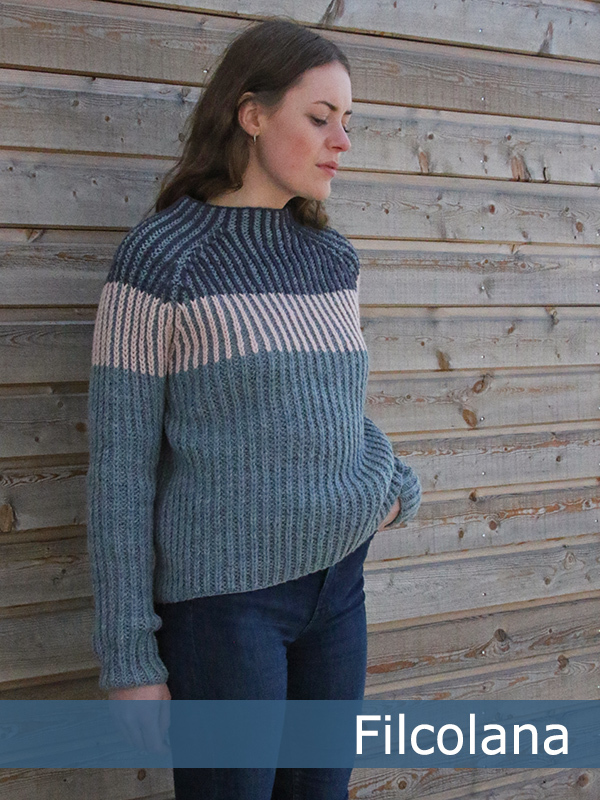 Here a simplified version called fisherman’s rib is used, which makes it possible to create vertical stripes in 2 colors. 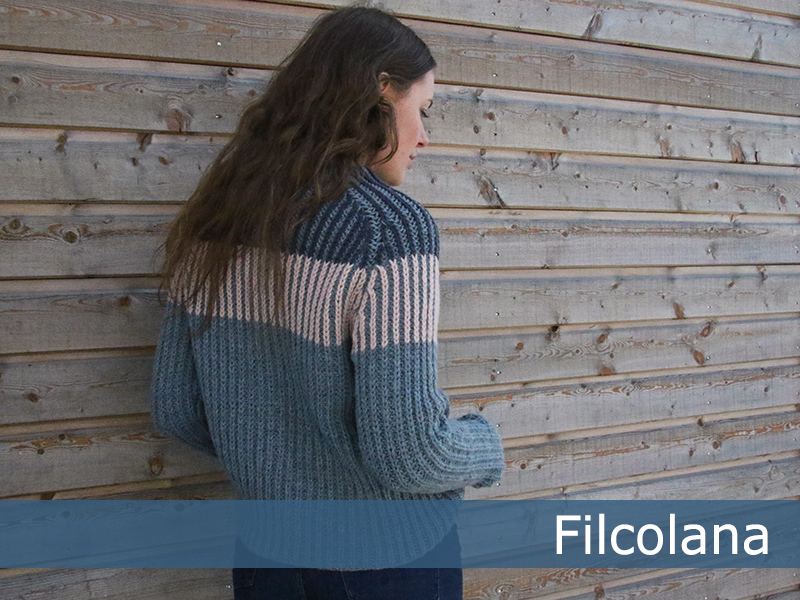 The sweater has a simple, contemporary silhouette with identical front and back. The yarn is just as simple: Peruvian Highland Wool – a reliable wool yarn, that almost knits itself.